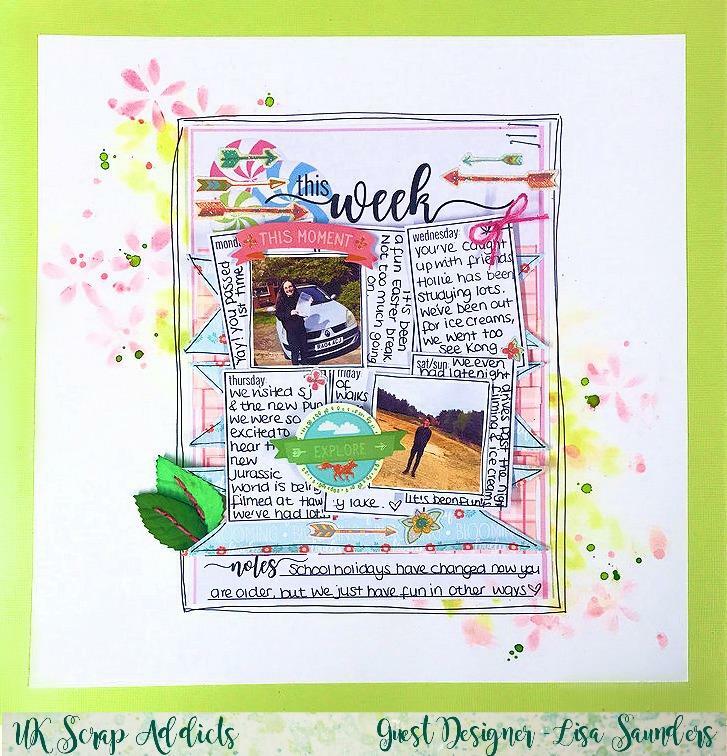 Over on UK Scrap Addicts we've been having a bit of fun with a whole chain of scrapbook whispers. One person made a layout and then it got passed down the chain and it's amazing how the layouts evolve. 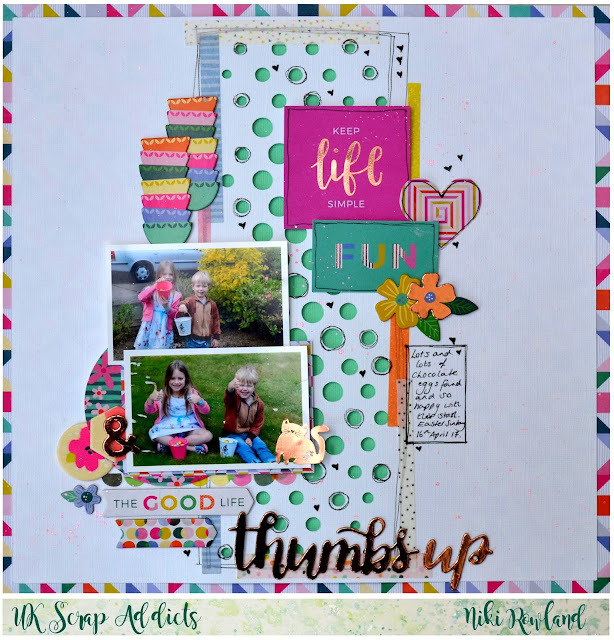 Check out the chain on the UK Scrap Addicts blog. This was the layout I worked from. 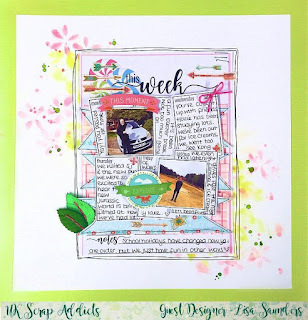 I loved the colours, the doodling, the sketch and all the boxes and those of the things I took inspiration from when working on my own layout. I've kept to the basic layout but moved the photos around and the title. Thanks so much for looking and for watching.